A virus that attacks Pinot Gris vines causing delayed bud burst, leaf distortion and yield loss has been found in Australian vineyards for the first time. 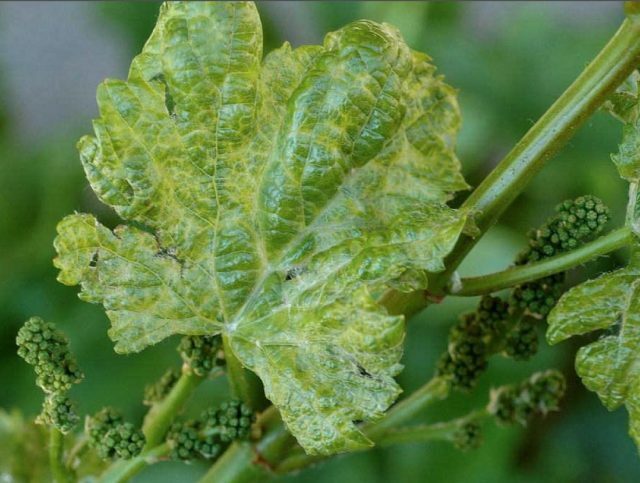 Grapevine Pinot Gris Virus (GPGV), a member of the genus Trichovirus in the family Betaflexiviridae, can be spread via infected propagation material and possibly by bud and blister mite, however its impact on wine health is not well understood. Confirming “isolated” detections of the virus this week, the Australian Wine Research Institute (AWRI) and Vinehealth Australia urged winemakers to be vigilant to the symptoms to minimise the risk of the virus spreading, but did not disclose where in Australia the virus had been detected. Grapevines infected with GPGV can show no symptoms. However the signs that could indicate infection include delayed bud burst, leaf distortion and mottling, shortened internodes, increased berry acidity and yield loss. The joint statement warned that these symptoms are most pronounced in spring and may be confused with early season bud mite damage, cold injury or herbicide damage. “Measures have been taken to ensure that no spread will occur from the vines in which the virus has been detected in Australia. To determine the extent of GPGV in Australia, targeted surveillance for the virus by relevant state government biosecurity departments will take place this spring when symptoms are most evident,” the body said in a statement. The virus is common in many international wine regions in Europe, the US, Canada and China, and in at least 28 grape varieties, including Pinot Gris, Pinot Noir, Traminer, Chardonnay, Merlot, Cabernet Franc, Cabernet Sauvignon, Shiraz and Carmenere. But this is the first time it has been detected in Australia. Growers who suspect signs of the virus should call the Exotic Plant Pest Hotline on 1800 084 881. For more information see the Australian Wine Research Institute’s fact sheet on GPGV.